All of our woven baskets are created from dyed natural sisal fibers woven over a core of forest grasses. The weavers begin in the middle of the basket, carefully threading the sisal around and around to create this beautiful design. The tea color is created when the naturally-white sisal fibers are steeped in Rwandan-grown tea leaves! 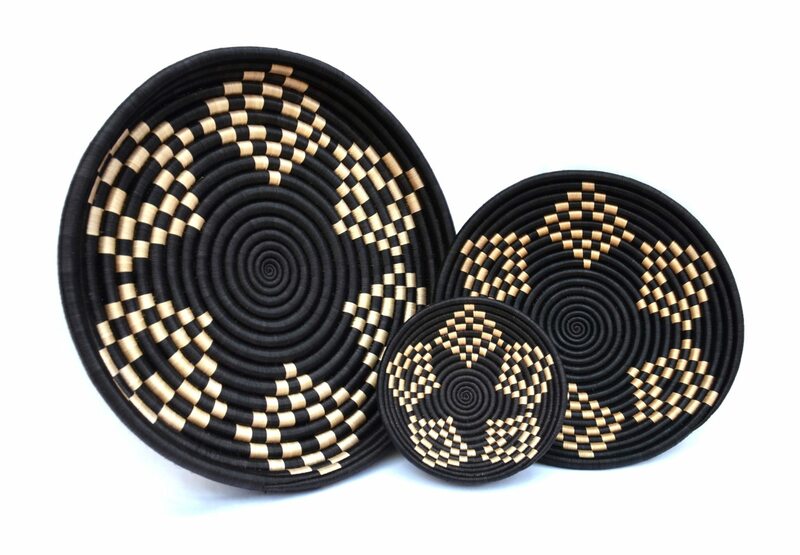 Each basket also has a loop on the back for hanging- the family set looks stunning when displayed on a wall. The weavers of Duteraninkunga began as members of a savings and loan group who discovered that many had skills in weaving. Those weavers taught others in their group, and eventually a weaving cooperative was born. With strength and endurance, Duteraninkunga weavers craft baskets larger than most weavers have ever made in their whole lives!